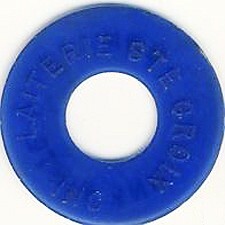 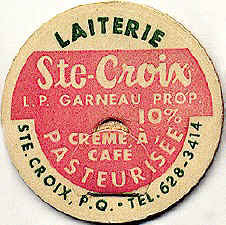 " L. P. Garneau Prop. " 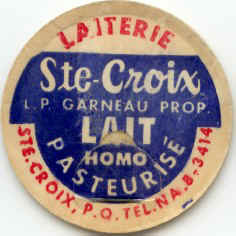 In 1914, Mr. Norbert Garneau started to supply his neighbours with the milk from his farm. 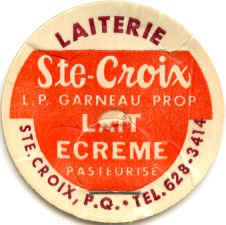 With his great service and accomodation, the small business grew to the point that, his son, Louis-Philippe, took over the operation and made it his livelyhood. 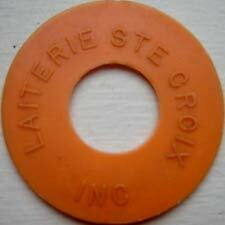 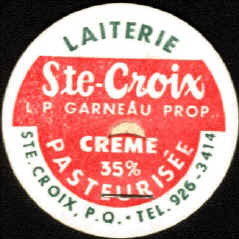 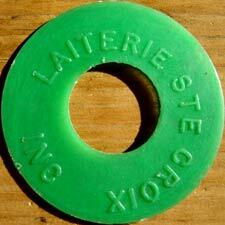 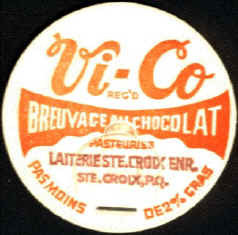 In 1950, with the help of his sons, Maurice and Benoît, the "Ste-Croix Dairy" was founded. 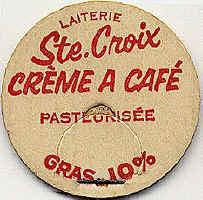 Afterward, Gilles, Claude, André and Roland joined the family business, making it the only such entreprise in the region. 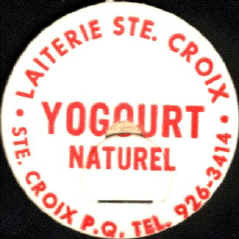 With the arrival of cardboard cartons and plastic bags, the dairy was considerably modified and by the early 70's with the centralization of the dairy industry, it was necessary for the Garneau family to get their support from Quebec City, mostly from "Laval Dairy" (Purdel). 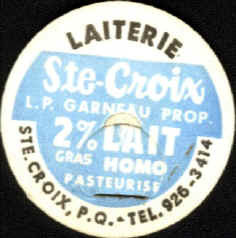 Today, a fourth generation is still delivering milk in the area, that of Benoît's son, Yvon.